There are lots of wonderful, inspirational books about Tibetan Buddhism. They are meant to shift the reader into a more spiritually open frame of mind. They are full of wondrous insights and just as many platitudes. They are upbeat, and deliberately simple. I’ve read and enjoyed so many of these, my eternal favorite being Introduction to Tantra by Lama Yeshe. 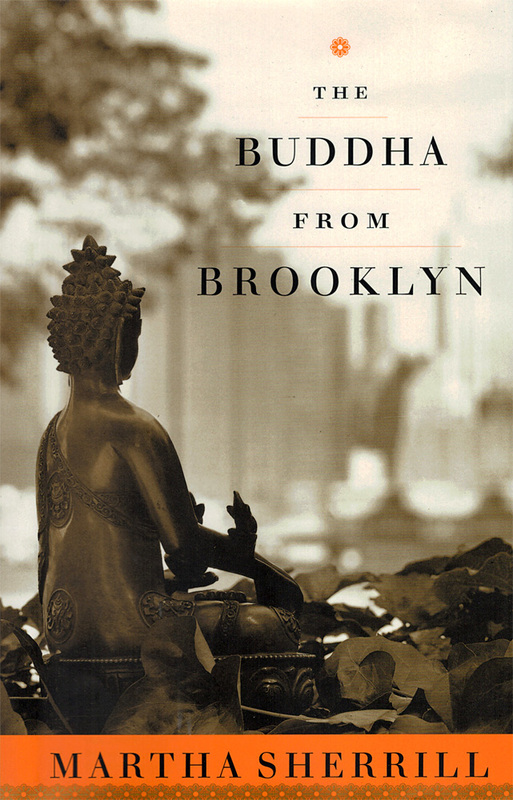 As much as I wish otherwise, The Buddha from Brooklyn is not that kind of book. It is a true story about the process of religious conversion – spiritual seduction, if you will – and the pitfalls as well as opportunities that face those who burrow into exotic Eastern religious traditions and expect it will be easy. The Buddha from Brooklyn tells the story of a woman named Alyce Zeoli, a neglected and abused child from Brooklyn who grows up to become a fortune teller and spiritual medium in North Carolina and Maryland. Eventually a group of students gathers around her. They have questions about life, and about their purpose on earth. Alyce changes her name to Catherine Burroughs, but not for long. She is charming, wise, nurturing, and outrageously funny. More importantly, she has a keen instinct for keeping a group of spiritual seekers engaged and fed and intact. She’s a true leader, in other words, and so compelling a teacher and speaker that a venerated Tibetan lama – His Holiness Penor Rinpoche of the Nyingma lineage – meets Alyce/Catherine in 1985 and tells her that she’s practicing Buddhism unwittingly. In fact, she is a “great, great bodhisattva” and the reincarnation of a Tibetan saint. Eventually, she is enthroned and given an entirely different name: Jetsunma Ahkon Lhamo. I met up with Jetsunma in 1993, seven years after her enthronement in Poolesville, Maryland. By then, she was running the largest Tibetan Buddhist center in America, just outside Washington, D.C. Many of her old students had been ordained as monks and nuns. Even more students had arrived – and ambitious fundraising plans were underway, for elaborate meditation gardens, holy stupas, and a monastic university. Charmed by Jetsunma and her students – and fascinated by their spiritual goals, their devotion and sincerity – I began a five year investigation into the lives and practices of the group. Eventually I took a leave from The Washington Post to work on the book fulltime, conducting hundreds of hours of interviews, meeting with current and former students of Jetsunma around the country, researching standard practices of Tibetan Buddhism at other American centers, and spending significant time with His Holiness Penor Rinpoche, the Tibetan leader who had discovered and enthroned Jetsunma. What unfolded, eventually, was an emotionally rich and troubling saga.